SEIRA MINNOW is a certain hard Bate outside past common sense. It is not equipped with a showy action. However, the bus attacks it intensely. You will be surprised at "the i--style action" who broke through very much in Japan. The hydro-hall drains the current which it took in from a mouth from gills. It is the structure which is very important for going straight stability. The feather hook gives a hard lure outlook on life. It is not hard and is not soft and uses exquisite material. 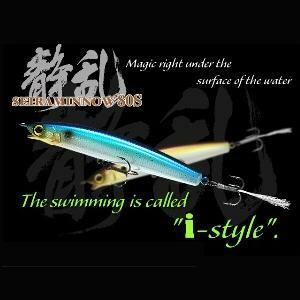 This bait is done the most suitable center of gravity transfer system of to increase a flying distance.